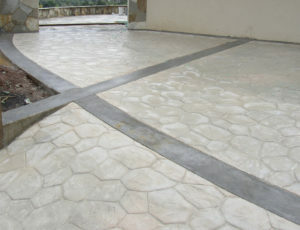 The First Step is to prepare a framework to receive the concrete. 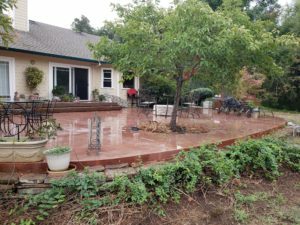 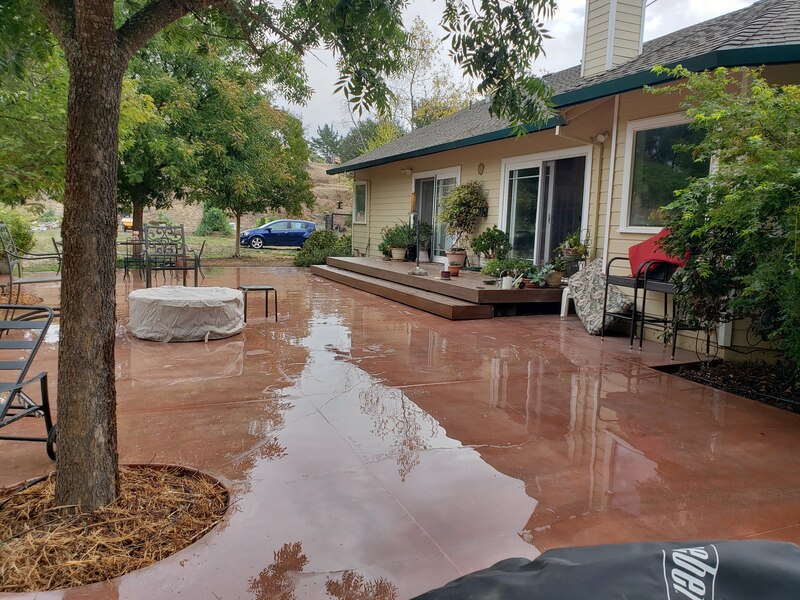 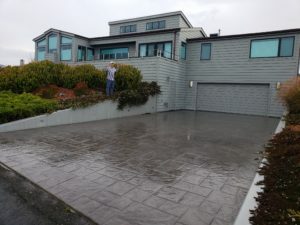 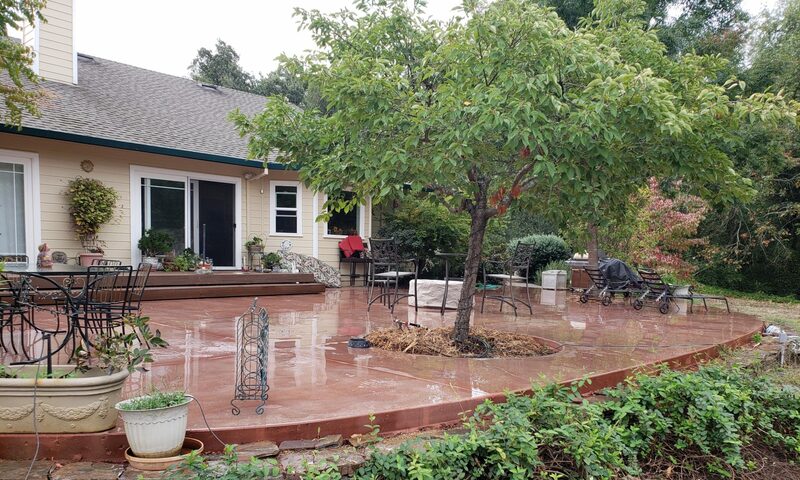 During the mixing process, the concrete is colored to the client’s specification and is delivered to the site where it is pumped into the frame. Then it is leveled and smoothed with two by fours and trowels. 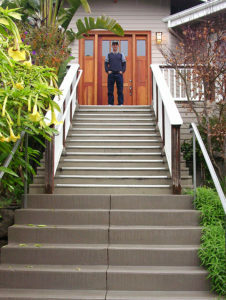 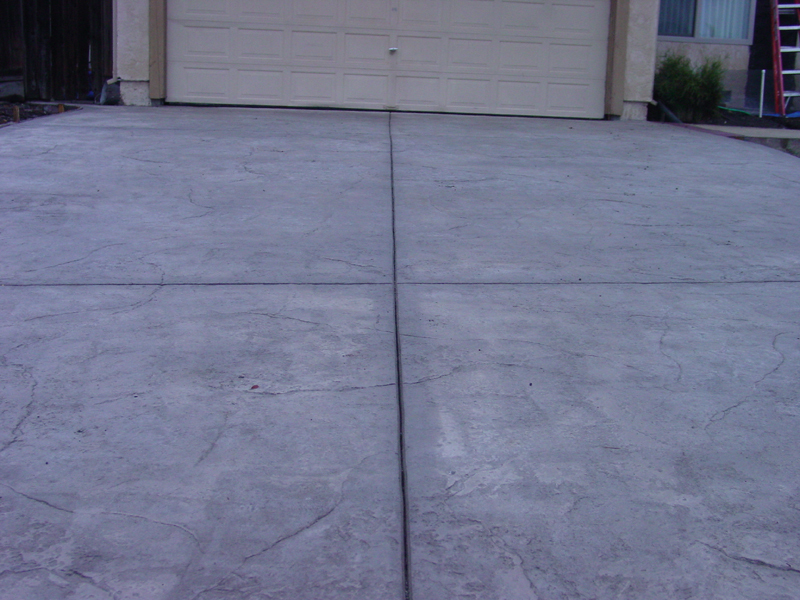 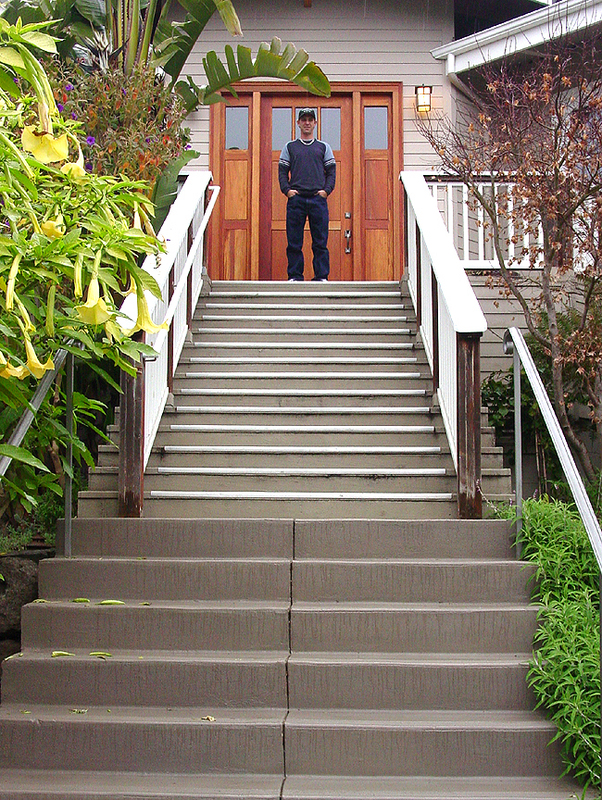 The Second Step is a process of bringing the concrete to a perfectly smooth, almost glassy sheen. In this way the concrete is prepared to receive the stamped pattern that has been selected for the installation. 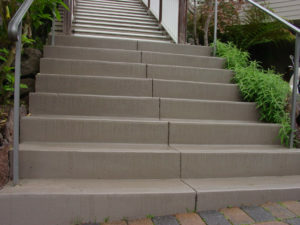 The Third Step is where the transformation takes place. 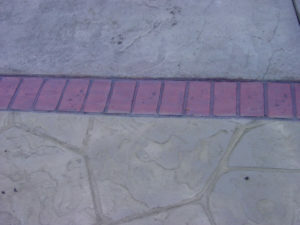 If there is external color to be added, these powders are placed on and troweled into the wet concrete. 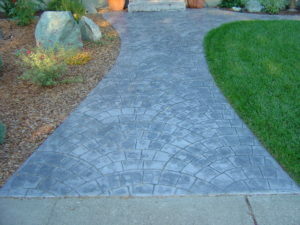 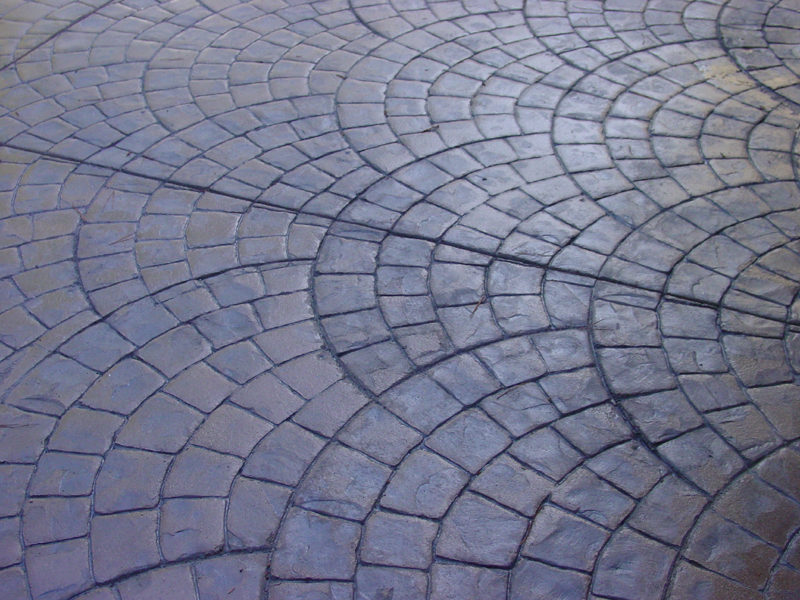 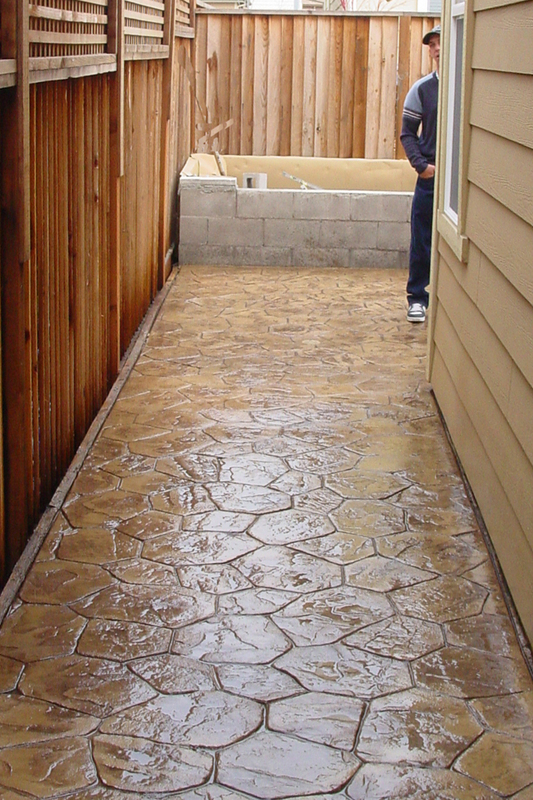 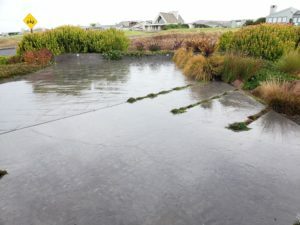 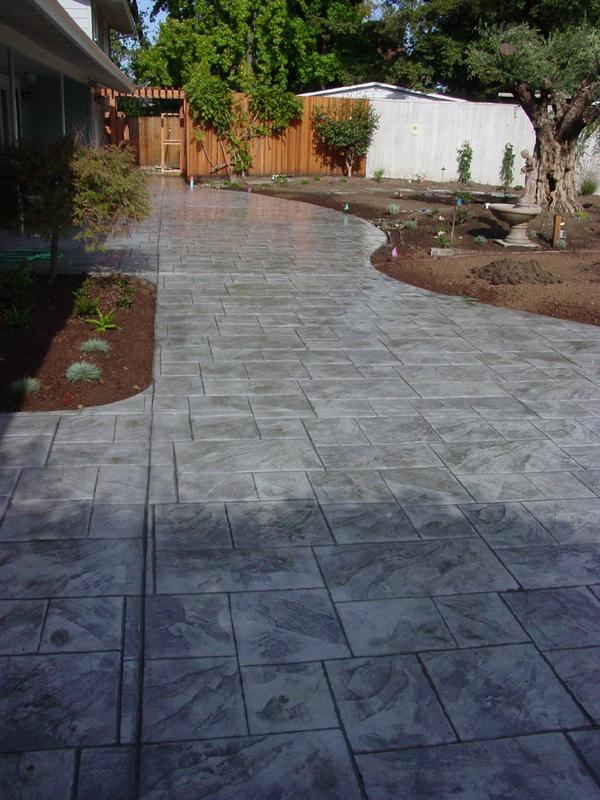 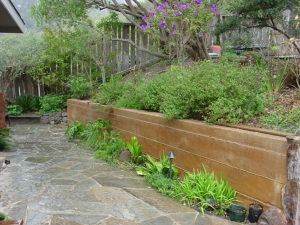 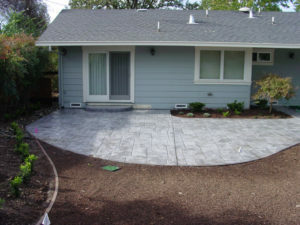 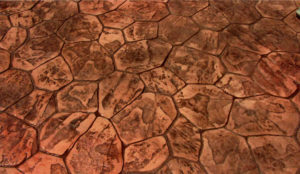 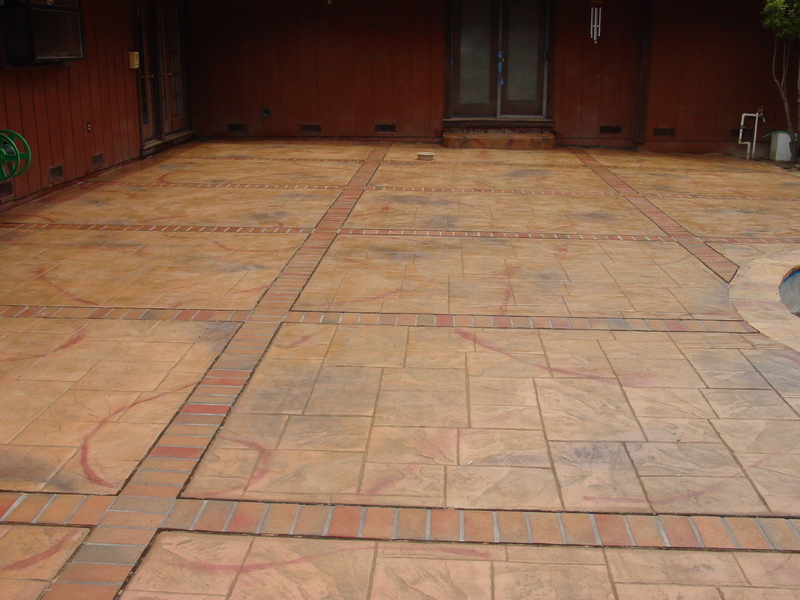 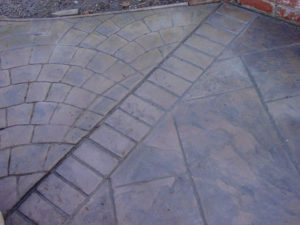 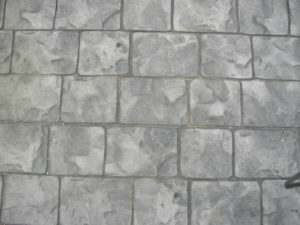 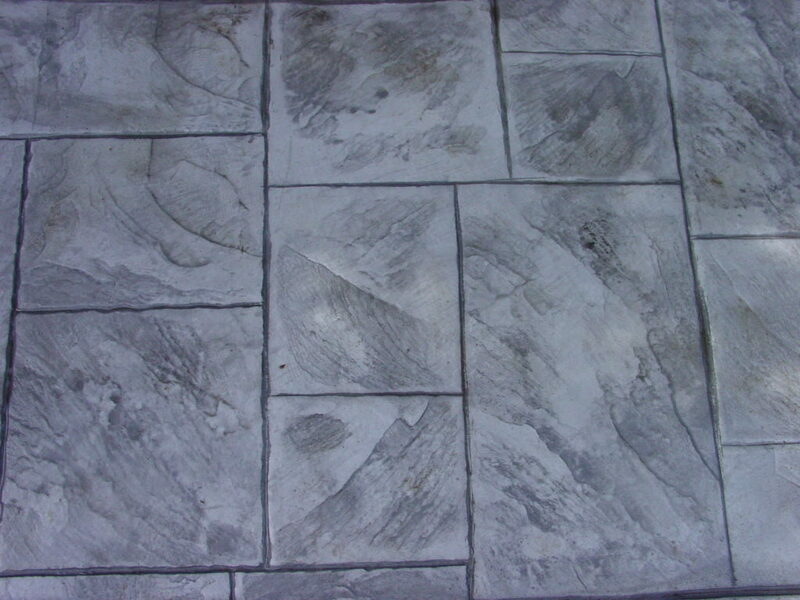 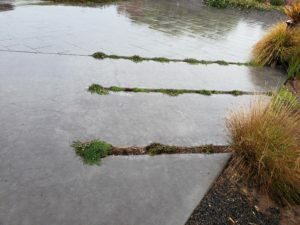 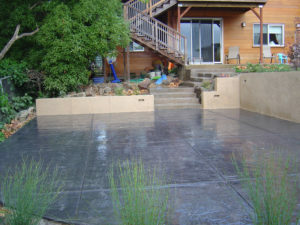 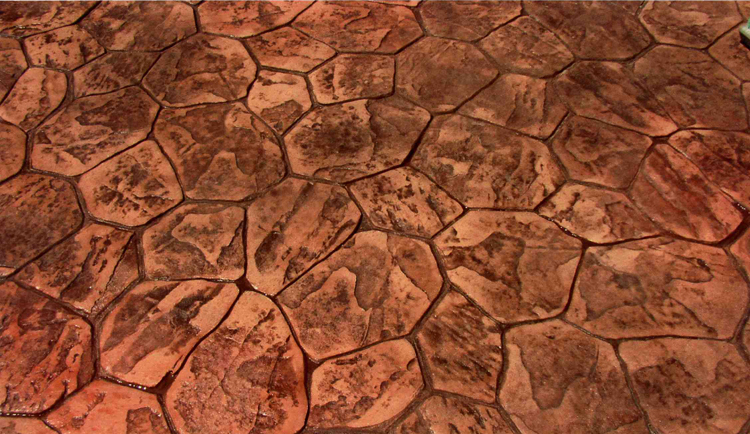 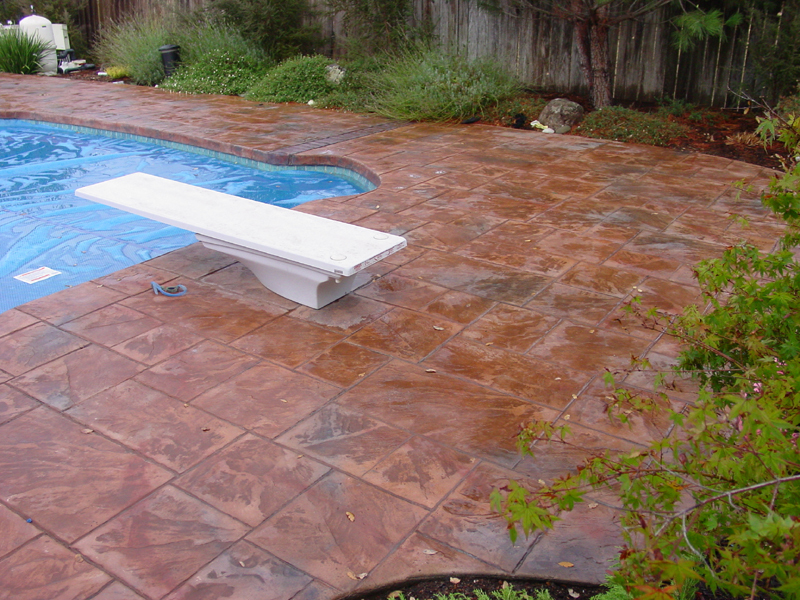 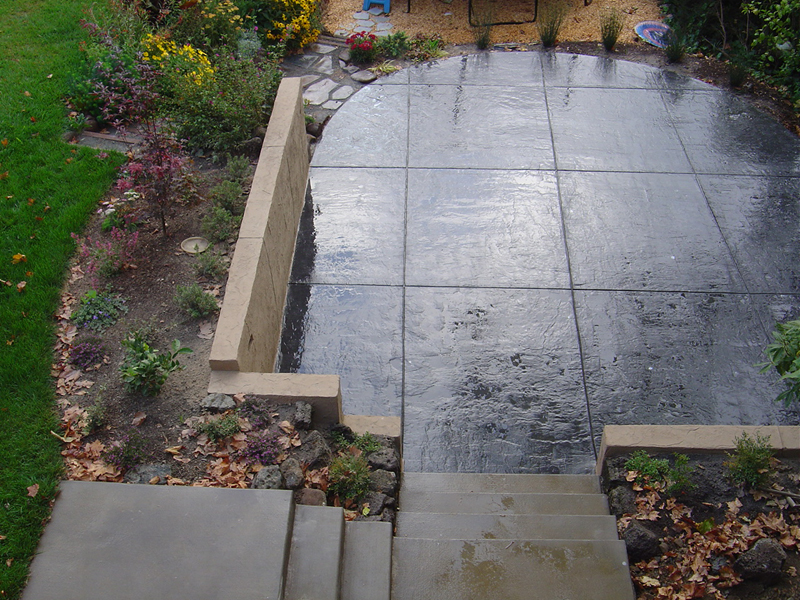 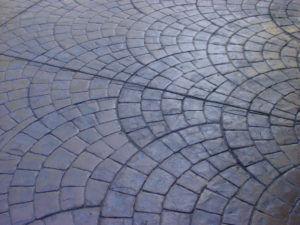 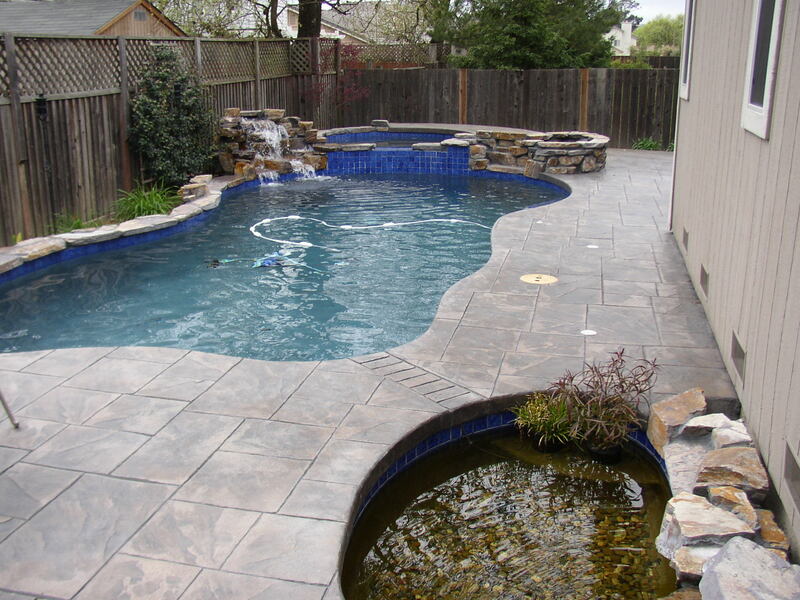 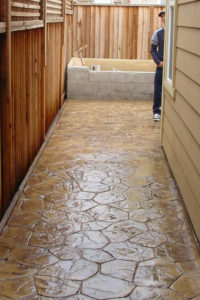 Templates are placed on the still wet concrete and patterns are stamped into the surface. 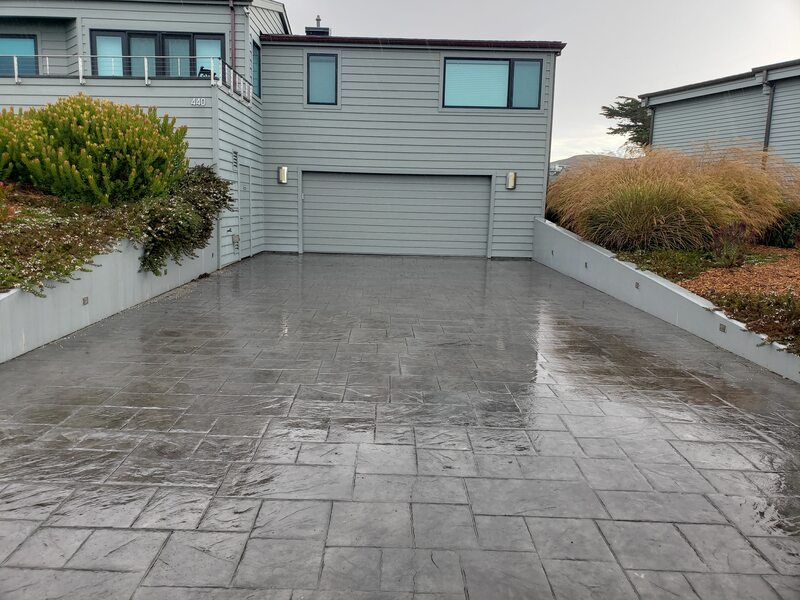 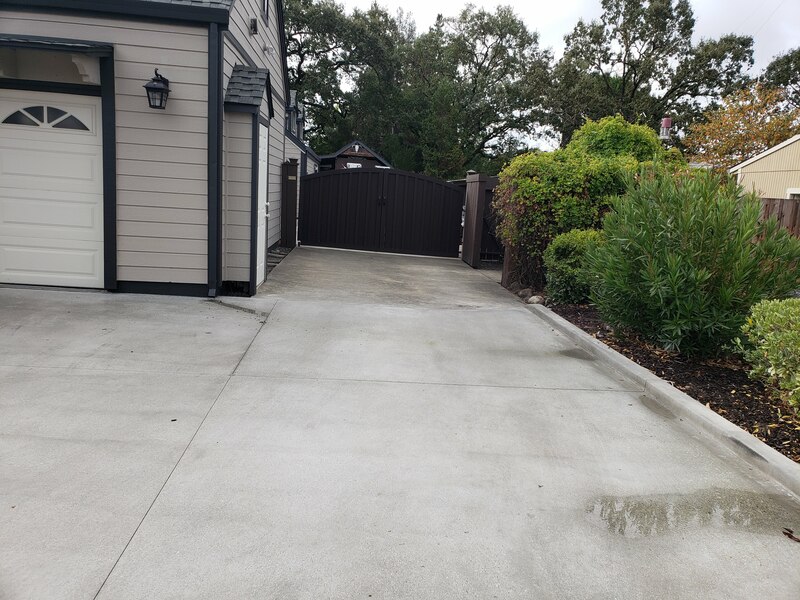 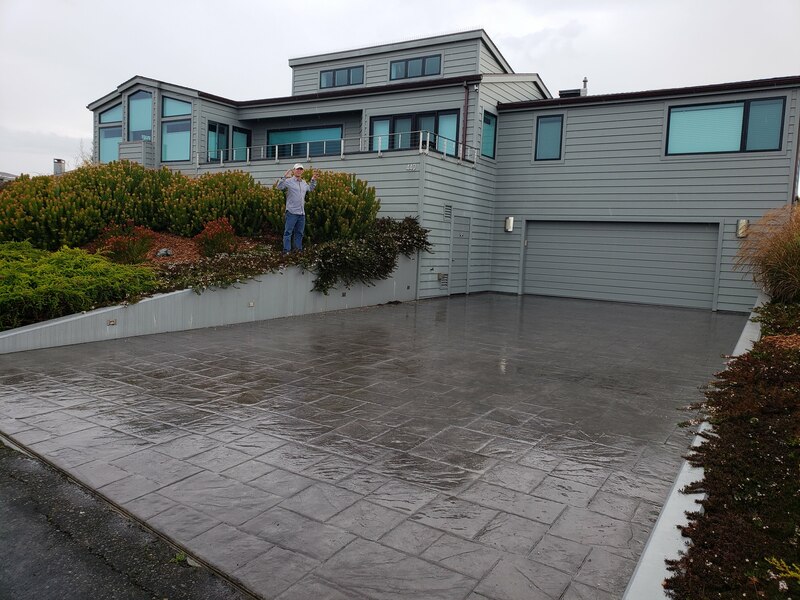 The Final Step is when the chemical treatments are pressure washed from the surface of the concrete and a protective sealant is sprayed on. 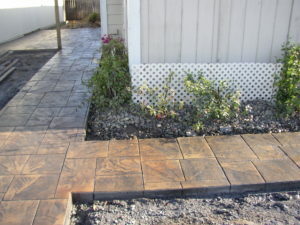 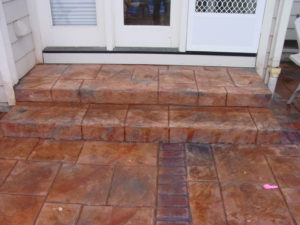 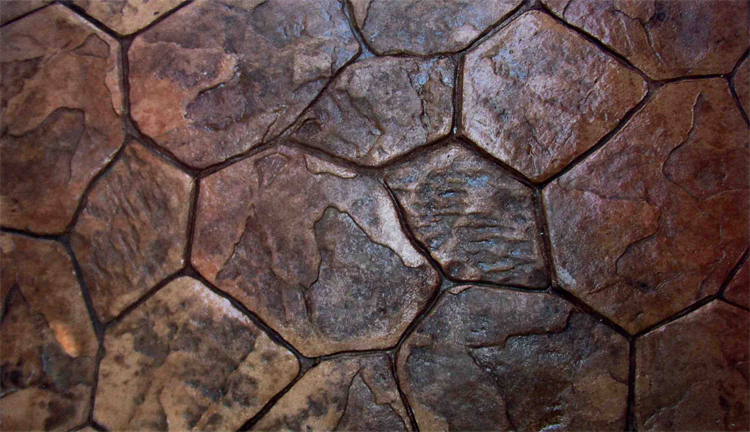 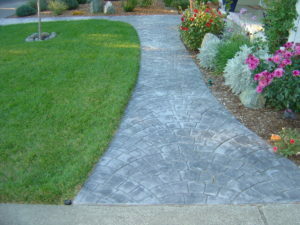 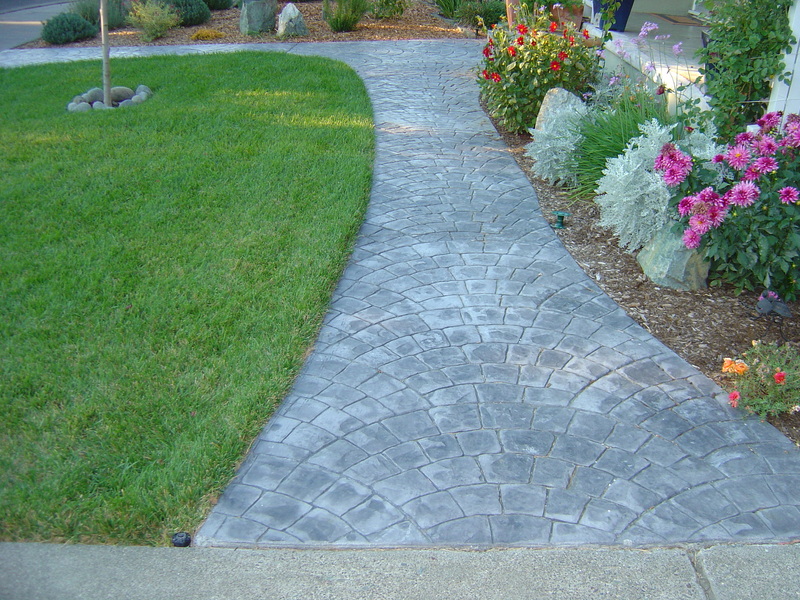 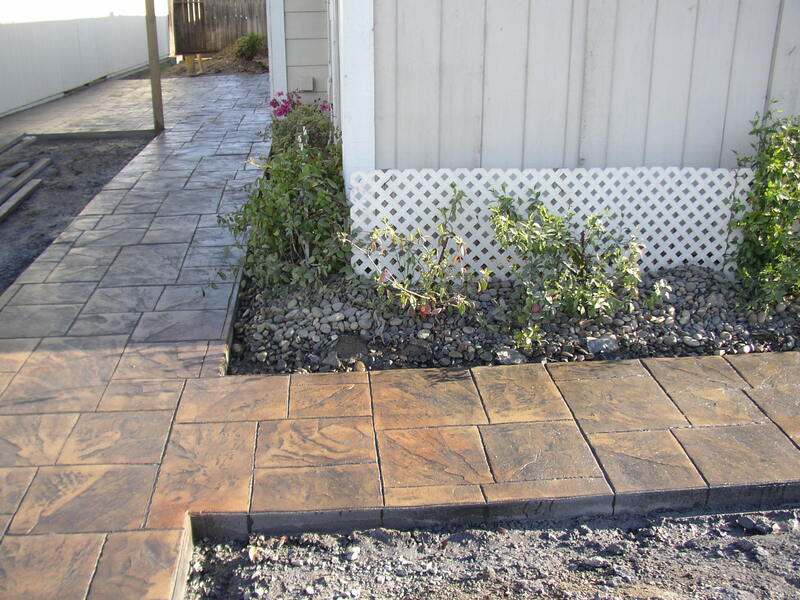 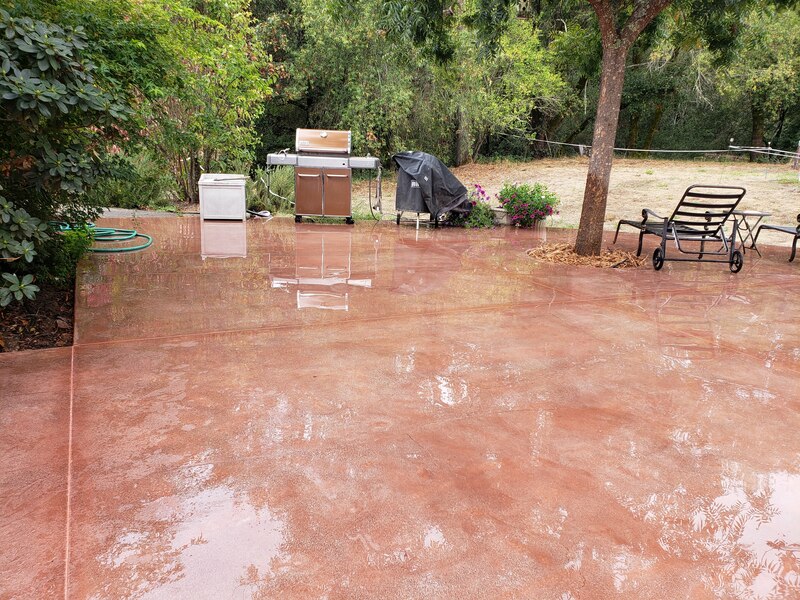 This sealant serves to brighten the hardscape and protect it from stains and weathering. 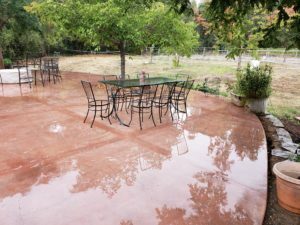 The short video below walks you through the entire concrete pouring, coloring and stamping process in 5 minutes! 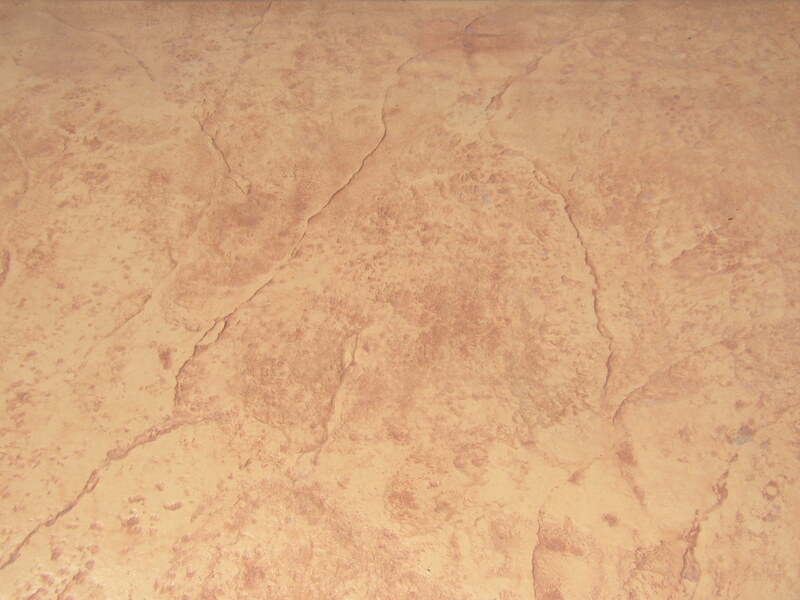 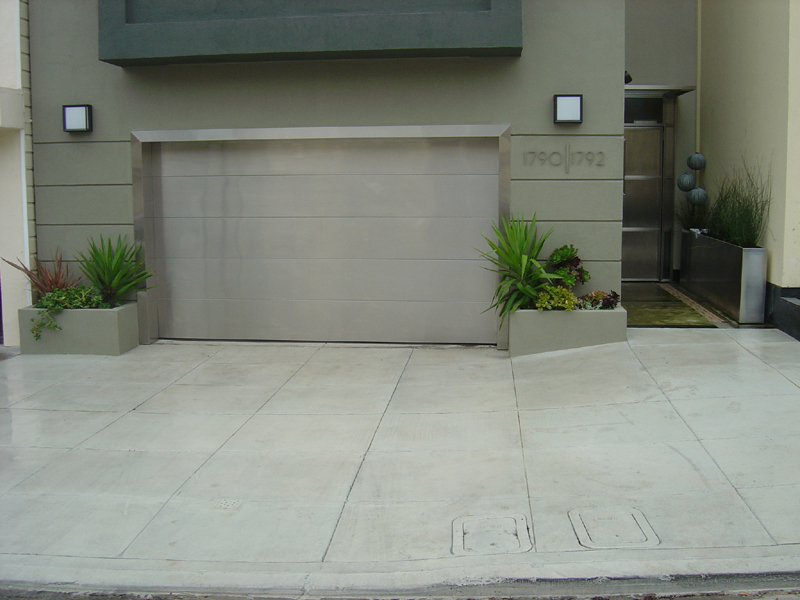 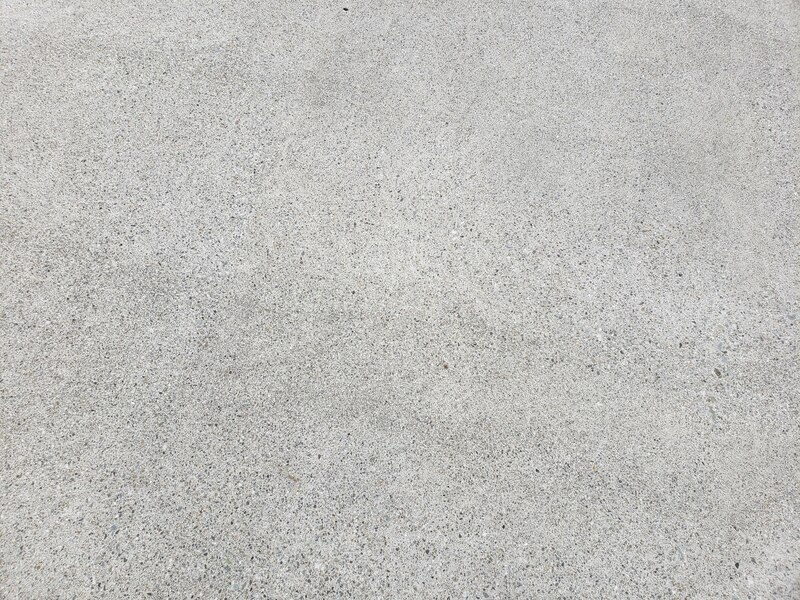 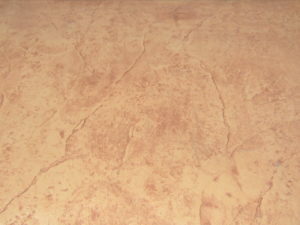 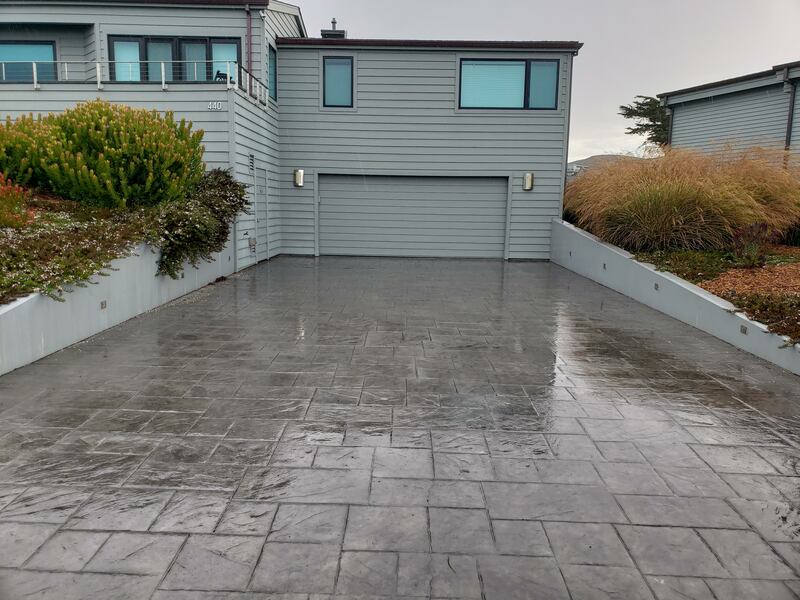 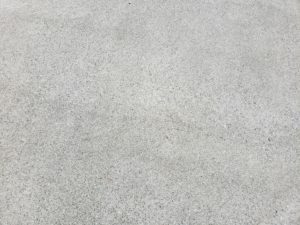 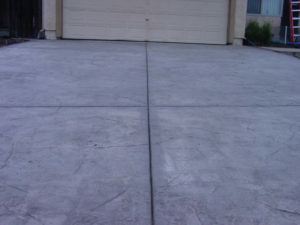 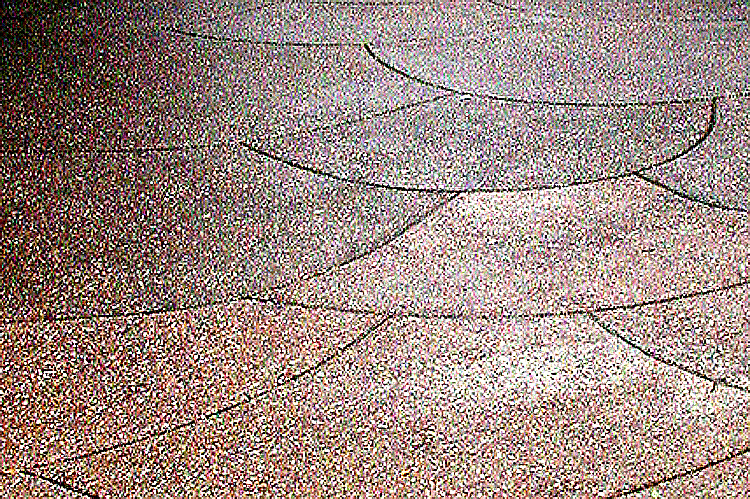 This is the most common concrete finish, whereby the surface is smoothed and a light brush texture is applied to the surface. 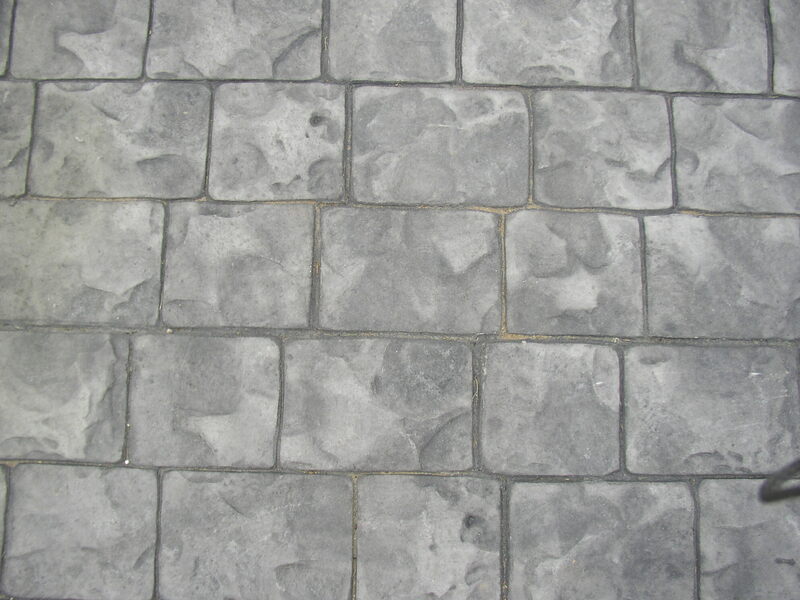 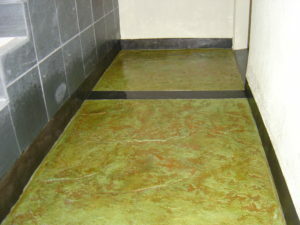 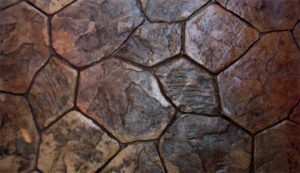 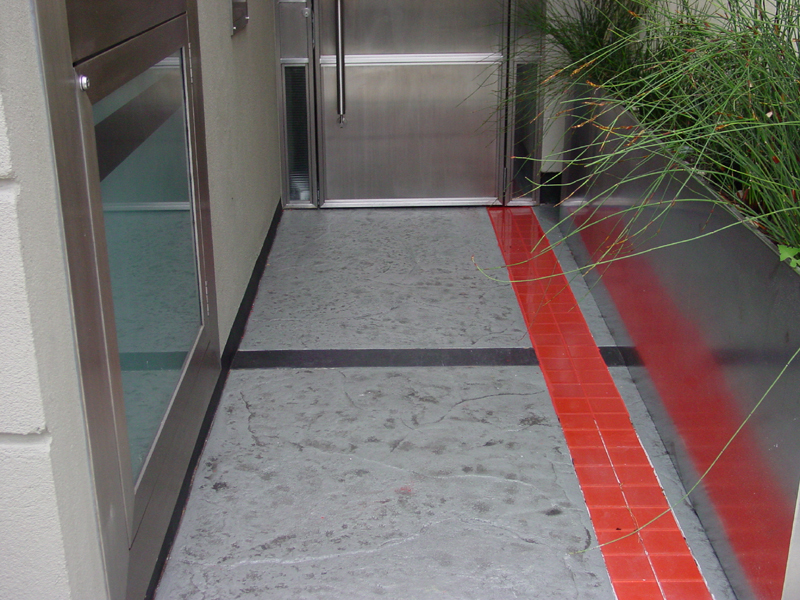 Normal concrete is transformed into faux stone by applying colors to the surface and using rubber matts to imprint customized stone textures. 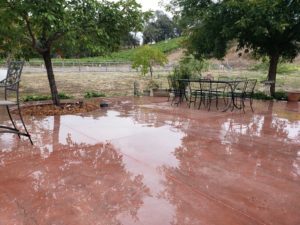 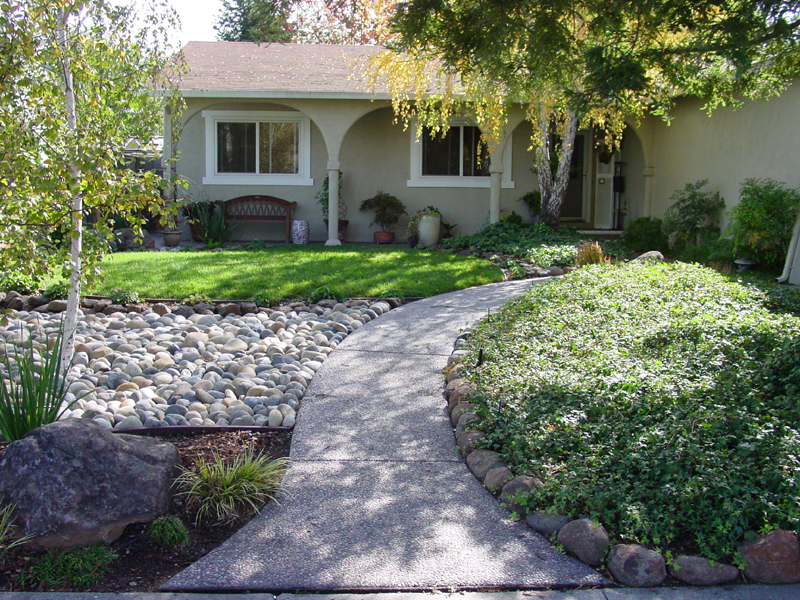 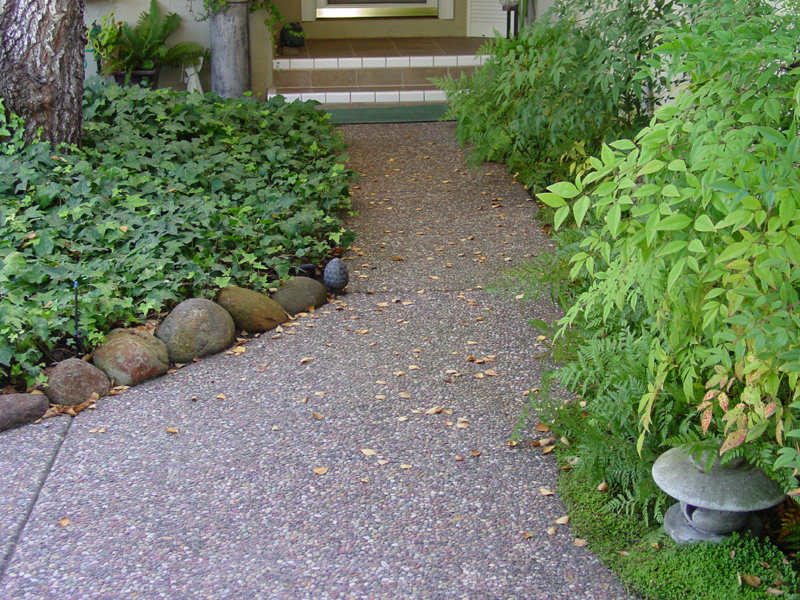 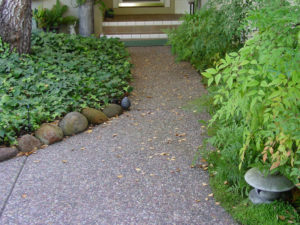 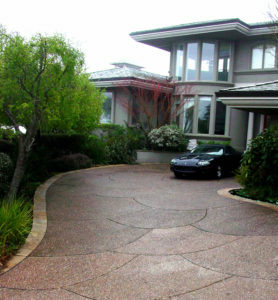 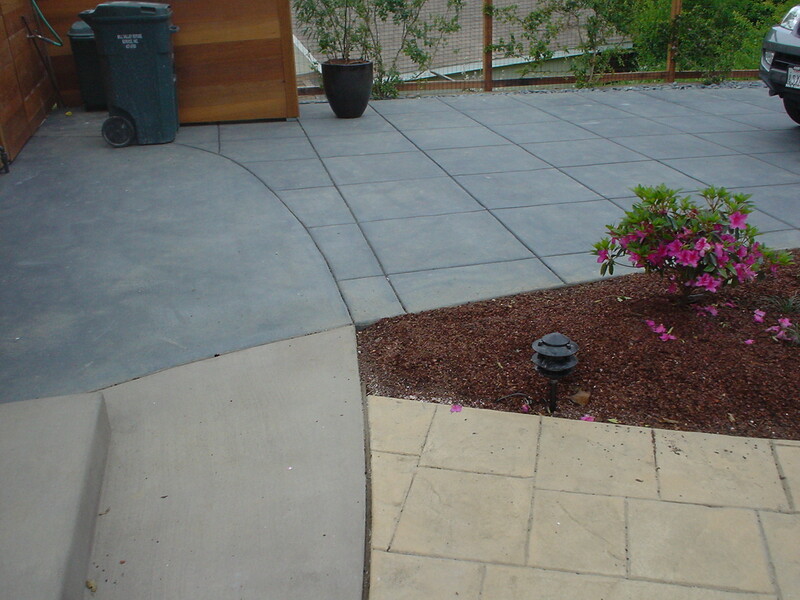 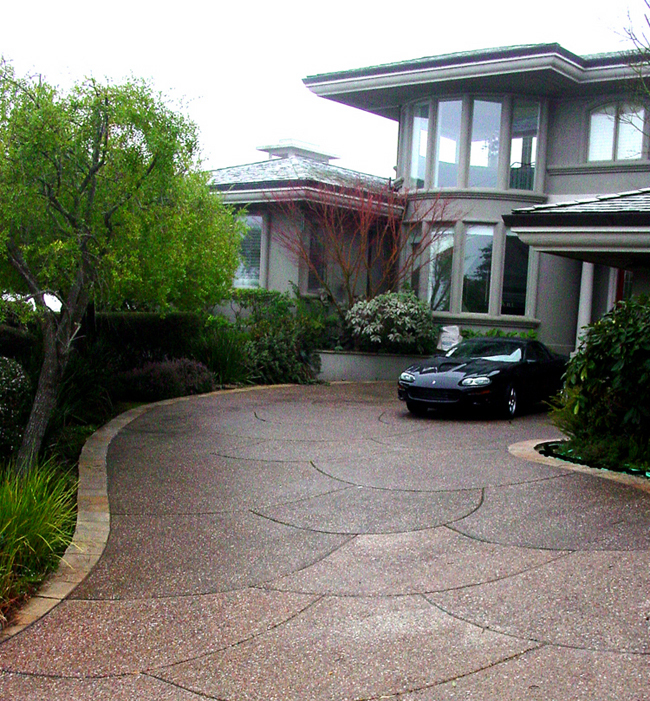 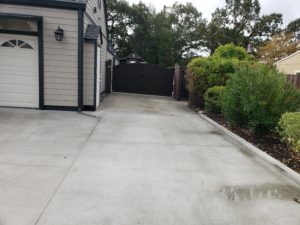 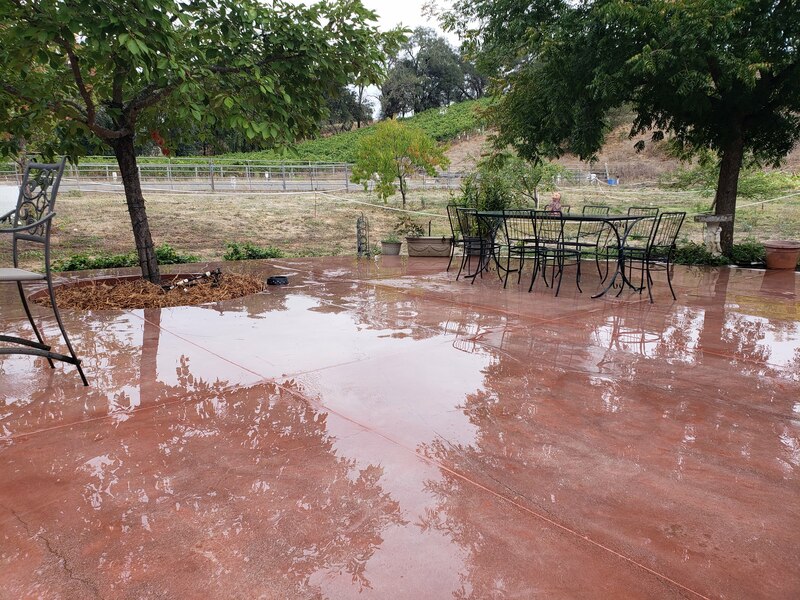 Concrete is flattened and while wet colored aggregate is cast on the surface and worked in. 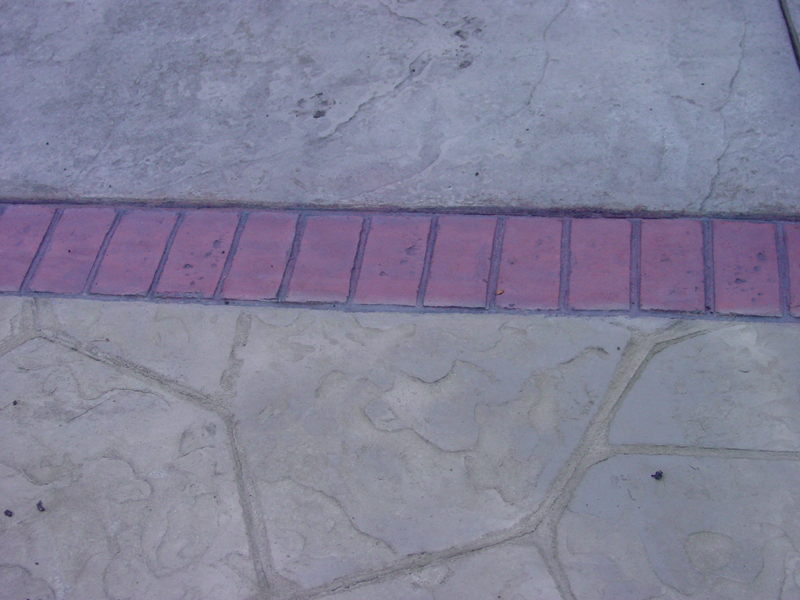 After hardening the surface is washed, revealing the colored stones. 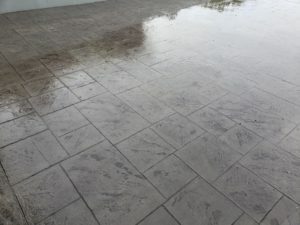 The most environmentally friendly concrete finish, in which the surface of the concrete is hardened with machine diamond tools. 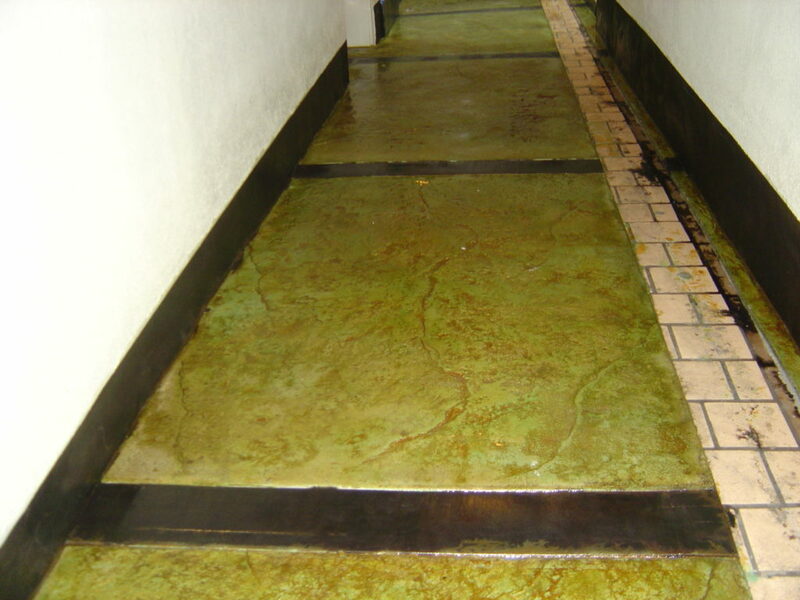 This process leaves the surface impervious to stains, grease, grime, and water. It greatly increases the life of the concrete installation. 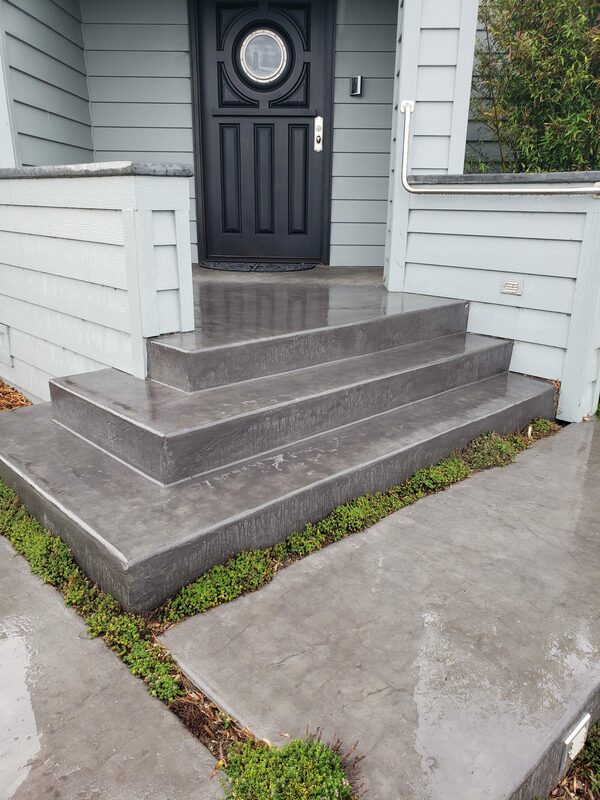 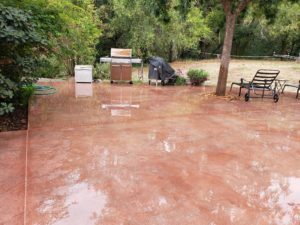 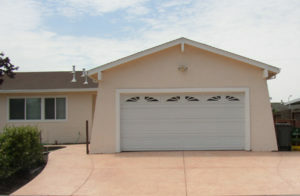 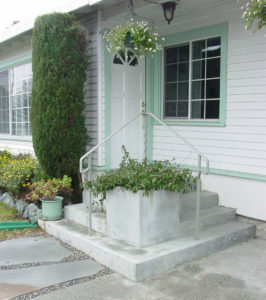 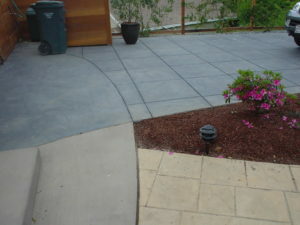 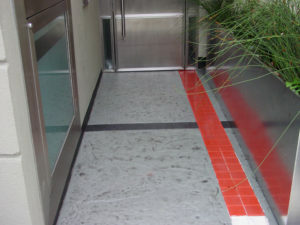 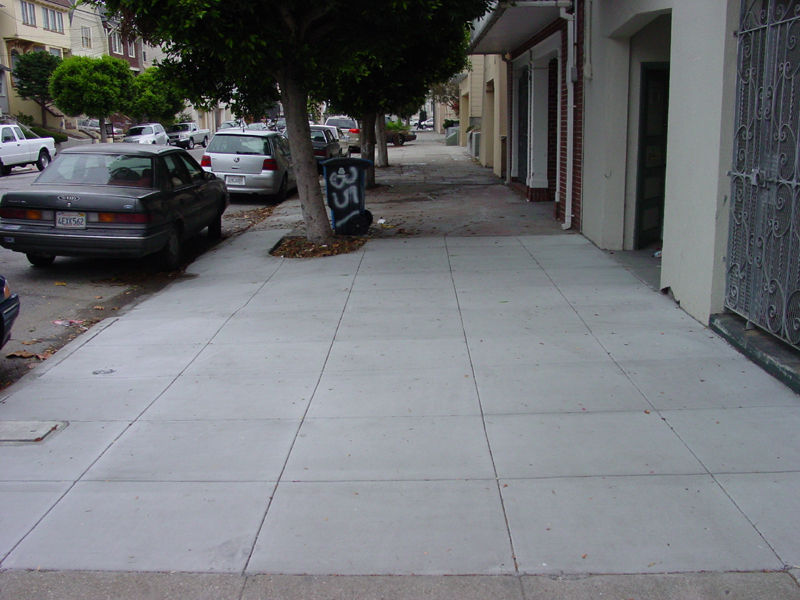 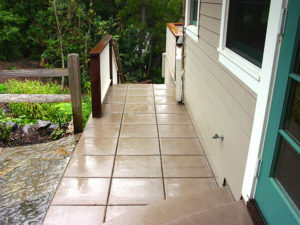 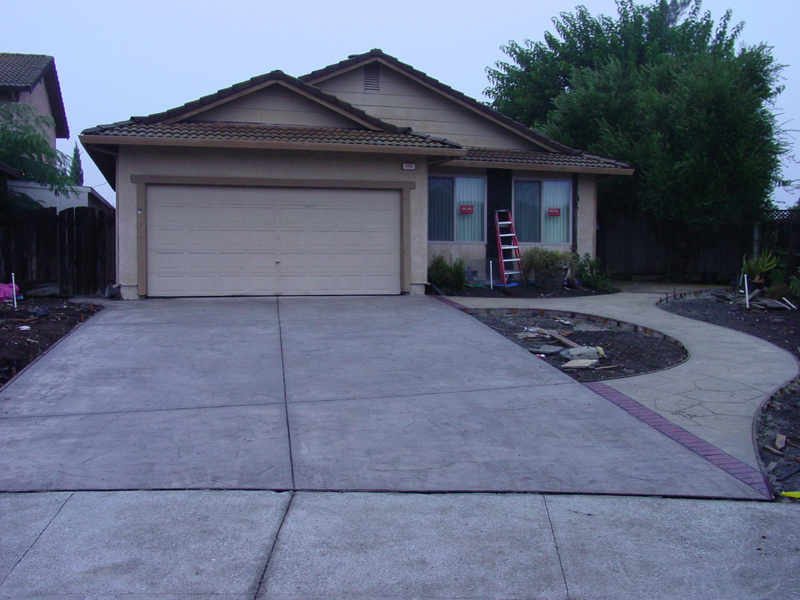 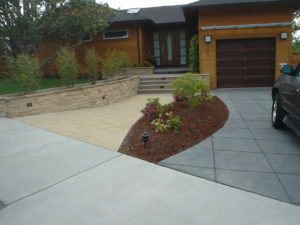 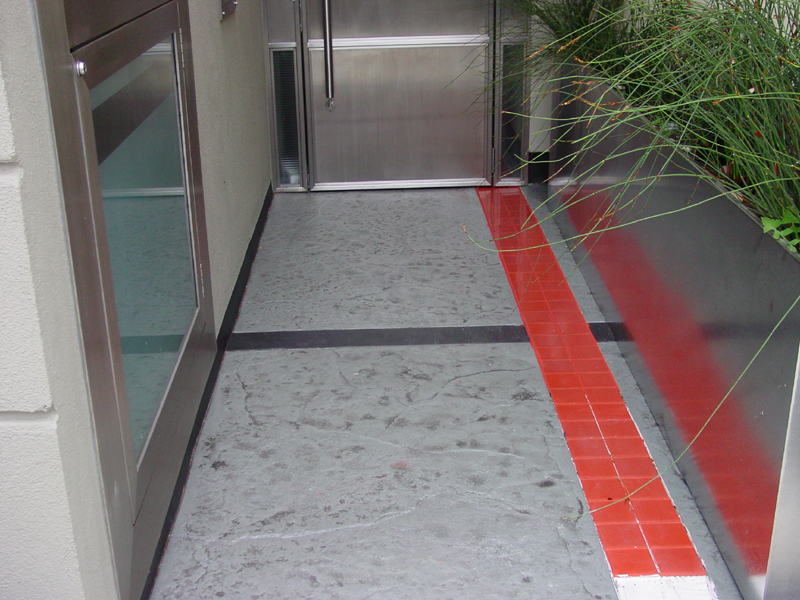 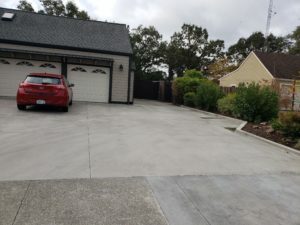 Existing concrete is re-colored or a new color is applied.